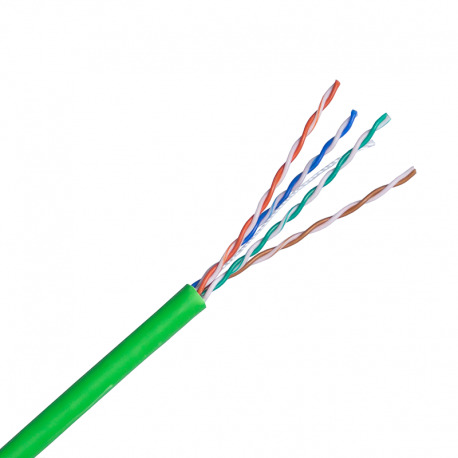 Connectix Enhanced Category 5 UTP Cable is designed for high speed LANs including Gigabit Ethernet applications. The Cca LSZH sheath offers excellent fire performance making this the ideal choice in public buildings and other high risk locations, exceeding the requirements of BS6701:2016+A1:2017 for installation cables. When used with Connectix Enhanced Category 5 panels and modules it gives the exceptional performance required for transmission over all four pairs.